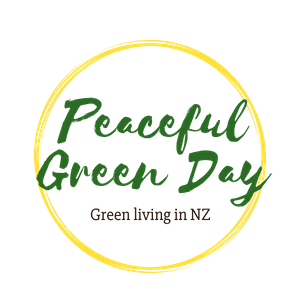 Peaceful Green Day: Backyard chickens (new ones!) - or urban agriculture? Backyard chickens (new ones!) - or urban agriculture? once they hit puberty, which should be very soon. They're terrified. I've shut them in the coop by themselves, so that my two older ladies - one brown shaver and one grandmotherly black orpington - can check them out through the wire mesh without doing any harm, initially at least. I know there will be some violence when they inevitably come together - I've seen it before. Already my old brown shaver (who still gives me an egg almost every day, bless her - otherwise she'd be gone by now) has been looking very fluffed up and has been firing the odd peck through the wire. I've also been reading a paper* co-authored by my old PhD supervisor, Professor Marian Dawkins, about just this issue. Chickens live in very stable social groups, but have 'establishment fights'. Basically they fight - which involves lots of head-gazing and aggressive pecks to the head - to sort out who's dominant. The reason, says the paper, is to establish it once and for all at the beginning, thereby avoiding the energy that would otherwise regularly be required to squabble over resources (e.g. the feeding trough). This approach is intimately associated with being able to recognise who's who. Hens are good at recognising each other, it says, but they can only do so by scrutinising each other very closely - they need to be just 10-30cm away. If they can't recognise each other, there's no point in having establishment fights, because for them to protect against the need to have ongoing future fights, you have to know who you've beaten and vice versa. Let's hope there's not too much bloodshed. I purposely left the older birds in the minority: there's two of them vs. three new ones. Our cat, looking alarmingly like a grey lion - and certainly deeply predatory - has been scaring the new girls also. The old ones have put him well and truly in his place, but the new ones don't know that yet. He's firmly inside with me for the day now, and happy with the situation by the look of him. Meanwhile I've been flicking through this Urban Farming book that I got from the public library. I've got a friend interested in starting 'Urban agriculture' projects in our city. What I'm trying to figure out is how it differs from having a big vege garden with a few chooks in it. So far I can't see any difference, but let me know if there is one! If not, perhaps our family can call ourselves urban farmers. It feels like an overstatement, but it definitely feels like fun. NB: My hens lay big eggs which, at our local Farmer's market, are called 'monster eggs' and sell for $10.50 a dozen. CHOKE. My three new ladies cost me $15 each and I expect to pay about $10 a month for food for all five of them. Even this winter I'll get over 20 eggs a week (although the young birds' eggs will be small to start with), and in summer probably 25 or more. So if you are thinking about getting your own chooks, you'll be helping your grocery bill beautifully. *Pagel, M & Dawkins, MS (1997) Peck orders and group size in laying hens: 'futures contracts' for non-agression Behavioural Processes 40, pp13-25.